It's been a while since I delved into a new lesbian web series, so where better to start than at tello Films; the home of online lesbian content? As a long-term fan of Bridget McManus, I decided to give her new series a go. 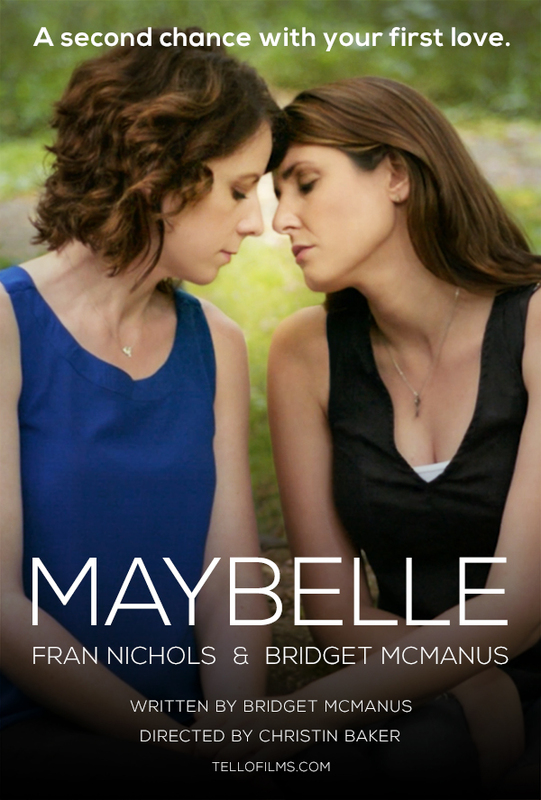 The plot of Maybelle (from what I've gathered from the first episode alone) revolves around a young woman, somewhere in the deep south of America, who is suddenly reunited with a past love. Episode 1 doesn't give too much away in terms of the exact history of these two women, but it tells you just enough: they were in high school together, and things were a little more than friendly. The chemistry between Bridget and her co-star, Fran Nichols (starring as Della), is evident almost immediately. Neither of them say a word about their past relationship, but anyone with two eyes and a brain can tell something romantic is - or was - going on there. 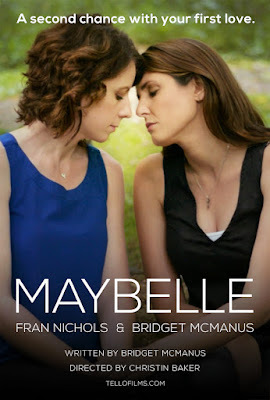 As I previously mentioned, it has been a long time since I ventured into new web series waters, and the first thing that pleasantly surprised me about Maybelle was the stunning cinematography. Gone are the low budget days of the shaky, handheld, low quality cameras that haunted lesbian content for years. Maybelle almost has an air of Amazon Prime's series Transparent about it. I'm not sure whether its the filters used or the way things are framed - or a little of both - but something about this web series seems hyper-realistic; as if you're right in there with the characters. Of course, the first episode is more of a set-up to the series, so there isn't much in the way of plot (Maybelle's mother passes away, and one thing leads to another until she ends up on Della's front porch - no pun intended), but it is a lovely start. Lastly, I must mention the calibre of McManus' acting thus far. As someone who is mostly used to seeing Bridget performing stand-up, this was a different side of her that I wasn't expecting. She plays Maybelle with the right amount of grace and excited whimsy: my favourite moment was the micro-expressions on her face when she was having her first conversation with Della in 15 years, followed by a subtle sniff of her shoulder when they first embraced. Little details like this are a testament to McManus' nuanced acting. If the rest of the series continues to impress me like this first episode did, I'd definitely recommend it. Stay tuned for my review of episode 2!